The Opposition Congress and the CPI(M) took a jibe at Bengal BJP president Dilip Ghosh on Sunday for his comment on Chief Minister Mamata Banerjee's chances of becoming the prime minister, claiming that it reflected a "political understanding" between the TMC and the saffron party. Extending his birthday wishes to the Trinamool Congress (TMC) supremo, Ghosh on Saturday said Banerjee "needs to remain fit" because she was the only one currently who had the chance of becoming the first Bengali prime minister. Senior Congress leader Abdul Mannan said the statement was "sort of an admission" from the state BJP chief, who knew well that the saffron party's chances of returning to power after this year's general election were slim. 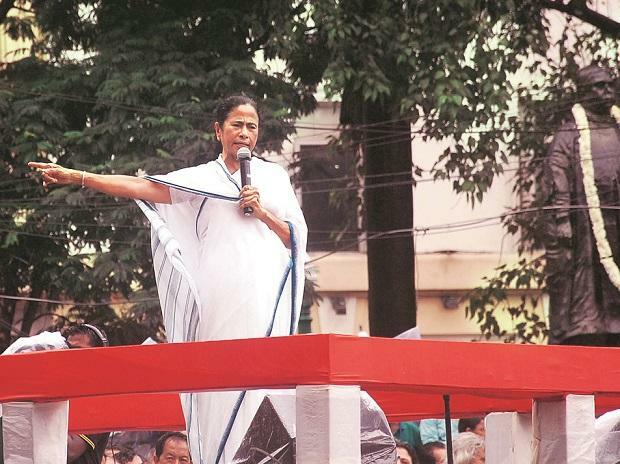 "The statement reflects two things -- a covert understanding between the BJP and the TMC, and that attempts to forge federal fronts are ploys to divide the Opposition," the leader of opposition in the state Assembly told PTI. Ghosh's statement showed that he was certain that the BJP would not come back to power, he said. "In such a scenario, his party's first preference seems to be Mamata Banerjee," Mannan added. "We have been saying this for a long time that the TMC and the BJP are playing a fixed political match in the state. Now the state BJP president himself has given a proof of it with his remarks," CPI(M) central committee leader Sujan Chakraborty said. The BJP leadership, which was caught off guard by Ghosh's statement, also refused to react to the controversy.